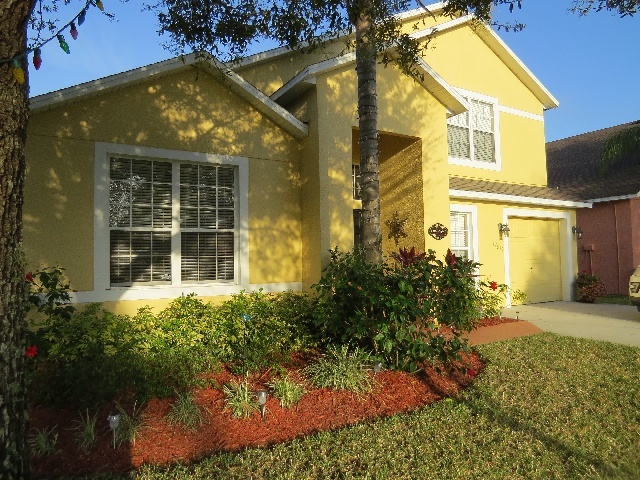 This 5 bedroom, 4 bath home is fully furnished with everything you could need during your stay. The house has 2 King master bedrooms with en-suite washrooms, 1 Queen Bedroom and 2 twin rooms and can comfortably sleep up to 10 people. This is our winter home and we continue to add the personal touches that will make this feel like your home away from home. With over 2300 square feet of living area this five bedroom, four bath home is fully furnished and equipped to meet the needs of families or groups. The ground floor has a master bedroom with king bed, an en-suite washroom, a second bedroom with twin beds and its own bathroom, with a shower suitable for someone with mobility issuess (fitted handrails and an integral seat), convenient access to the pool area from the Master bathroom via a separate door. To complete the first floor there is a formal dining room with a large table that will easily seat eight, a very well equipped kitchen area with its own table and chairs which opens to the family room with patio doors to the pool lanai. There is also a new LG washer and dryer in the hallway leading to the garage.. The family/living room has comfortable sofa and arm chair and its own 55 inch Smart LED TV with Sound Bar providing access to NetFlix and other Internet services,. There is also a Blue Ray DVD, and I-pod docking station, along with a selection of DVDs, CDs, books, and games suitable for all ages. There are over 150 channels available including BBC America, ESPN and Fox Sports for European football. High speed wireless internet access is available for your use. You will also find cordless phones in most of the rooms with North American and European long distance provided free of charge. 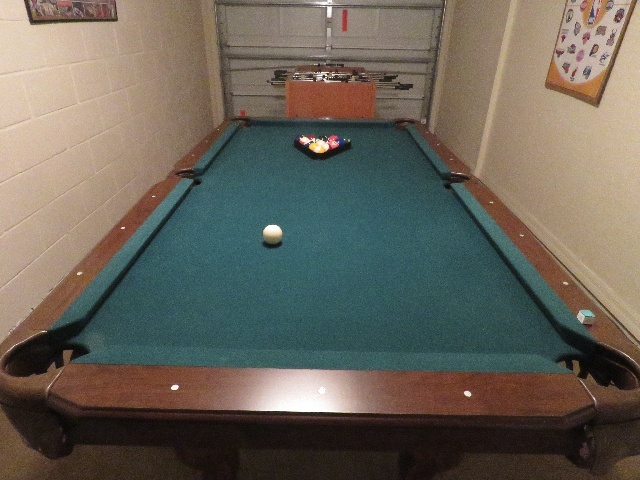 The garage has been converted to a games room with a pool and fooseball tables. Upstairs there is a second King Master bedroom and en-suite, and a Queen bedroom and twin bedroom that share a full bathroom. All the bedrooms have their own LED/LCD TVs. Outside you will find a spacious pool deck surrounding a large solar heated 30 foot by 15 foot swimming pool with a built in spa, for play or relaxation after a day at the parks. Pool heating is provided for free. The south-west exposure ensures that you can enjoy the afternoon sun and top up that tan on four sun-loungers. Florida Glass (opaque screening) provides for extra privacy. The lanai provides shade and a patio table that seats six for casual dining on the beautiful Florida evenings. There is also a wall mounted LED TV in the lanai so that yu can watch your favorite programs or Netflix movies out on the deck. Enjoy a drink by the pool, watching the sun go down, or head off to one of the many great restaurants located nearby. Families with young children need not worry about pool safety since there is a secure pool fence to prevent accidents. In fact, we are a short walking distance from a children’splay area - when they still have some energy to burn off! Solar pool heating was installed and we now offer pool heating as part of the base rate. A pool blanket is provided to retain the water heat and keep pool clean but is only used in the winter. The house has air conditioning and central heating, and all rooms have ceiling fans. The house also has an alarm system for added security. Our local management firm is available to assist you with any issues that you might have.